The original Dragon Ball Anime series was well known for dragging things out and not taking it’s time which meant we got to know the characters even more and they managed to fit in loads more awesome fighting. Then when it ended we got a few movies but they all seemed too ruched especially Dragon Ball Battle of Gods which introduced a whole new set of characters and a new level of Super Saiyan. The idea was great but the fact it was all compacted into one short movie left a lot of fans wanting more. Toei Animation have just published a press release announcing the next DBZ anime will come in a series form and be out later this year set for a July 2015 Release Date. 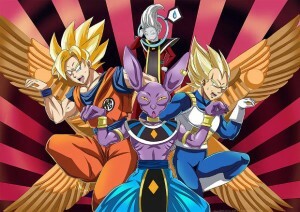 The new series will follow on from the latest movie Resurrection of F and has a Japanese working title of Dragon Ball Super.